The DGS-1100 MP/MPP Series is a range of switches designed to meet the surveillance requirements of small, medium, and enterprise businesses. Support for high-powered Pan Tilt Zoom (PTZ) cameras, and automatic Surveillance VLAN make the DGS-1100 MP/MPP Series ideal for IP surveillance deployments. A redesigned interface, a range of diagnostic and troubleshooting tools, and energy efficient technologies provide a flexible solution to your surveillance requirements. An interactive setup wizard removes the complexity from installing the switch for the first time. It allows you to choose the web interface mode (Standard or Surveillance), the IP address allocation method (static or DHCP), and the administrator user name and password. This completes the initial setup of the switch and automatically configures features such as Loop Detection, DHCP Snooping, SNMP and Surveillance VLAN. An informative quick start guide shows you how to use the network diagram, and a network overview is displayed on the next page. D-Link and 3rd party devices are automatically detected and shown on the network overview page for easy administration. 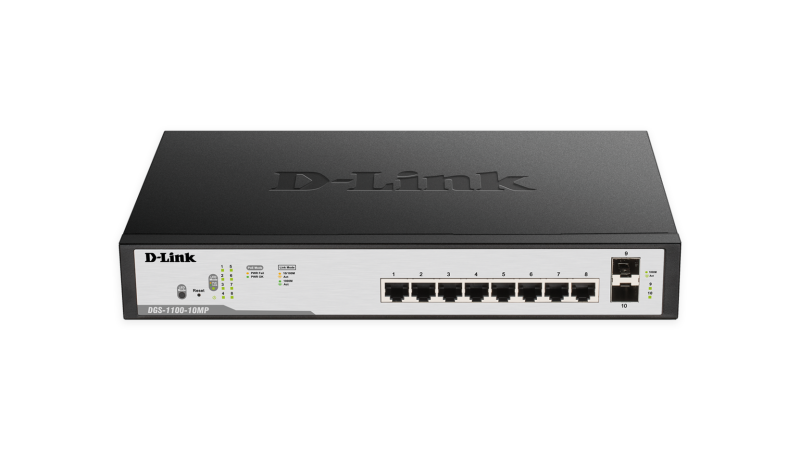 The DGS-1100 MP/MPP Series supports the automatic Surveillance VLAN feature. This automatically detects surveillance devices and puts them into the Surveillance VLAN, segmenting their traffic from the rest of the network. The ensures security of the data, but also gives the traffic a higher priority through the switch, reducing the chances of the video freezing or being delayed on live streams. A single switch can be used for both surveillance and data networks, removing the need for dedicated surveillance hardware and reducing maintenance costs. A redesigned Surveillance interface makes surveillance features more accessible than ever. The choice between Standard and Surveillance modes can be made during switch set up, allowing the user to choose the interface that best suits their requirements. A network overview shows which devices are connected to which ports, and ONVIF device support allows the switch to recognize both D-Link and 3rd party IP cameras and Network Video Recorders (NVRs). 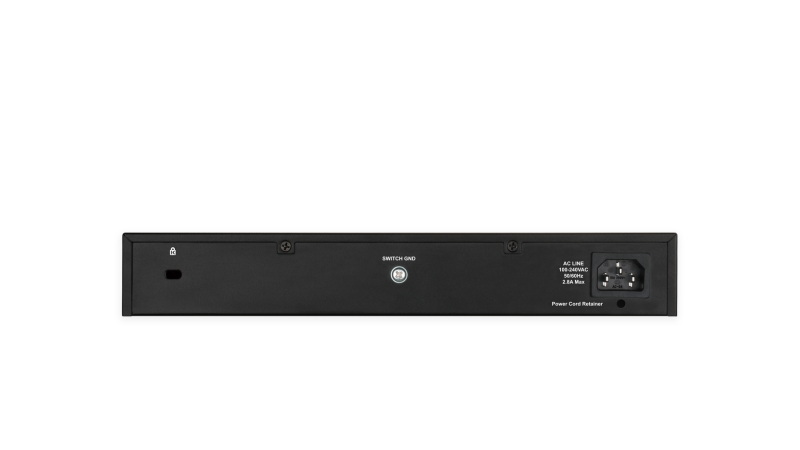 With monitoring, management, and troubleshooting tools built into a single interface, the DGS-1100 MP/MPP Series provides everything you need to manage your surveillance network. 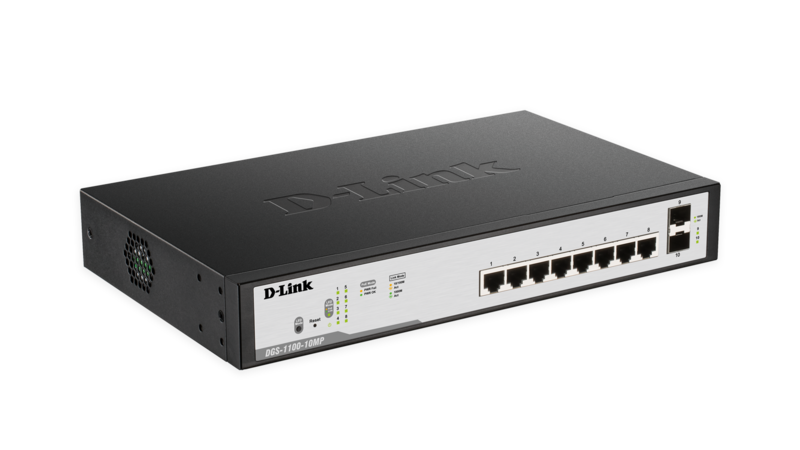 The DGS-1100 MP/MPP Series features Loopback Detection and Cable Diagnostics to help network administrators find and solve network problems quickly and easily. Loopback Detection detects loops in the network, where multiple devices have been connected to each other and there is a forwarding loop. The switch will identify the port causing the loop and shut the affected port down to avoid network instability. Cable Diagnostics can be used to remotely test the quality of copper cables, recognize the cable type, and detect cable errors. The DGS-1100 MP/MPP Series provides support for Power over Ethernet (PoE), reducing deployment time for IP cameras, VoIP phones, and access points. The DGS-1100-10MPP and DGS-1100-26MPP support IEEE 802.3bt, providing up to 90 watts on selected ports for the latest high-powered Pan Tilt Zoom (PTZ) cameras. 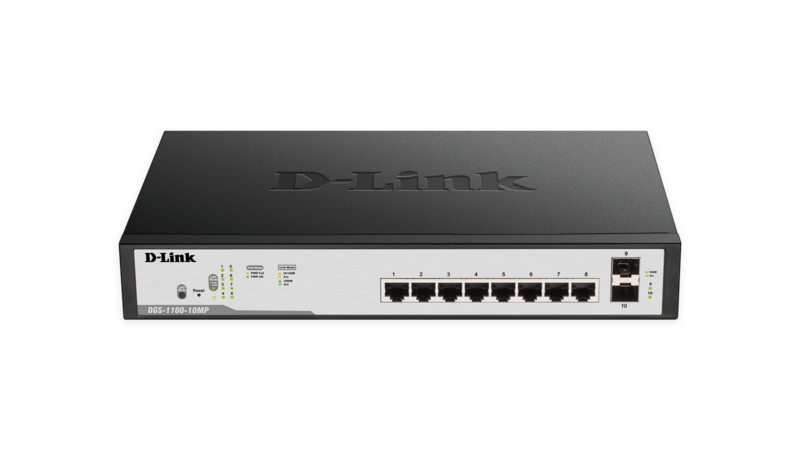 All switches in the DGS-1100 MP/MPP Series support IEEE 802.3af and 802.3at, providing up to 30 watts per port. This, combined with high power budgets, ensure all of your critical surveillance infrastructure can be powered from a single switch. 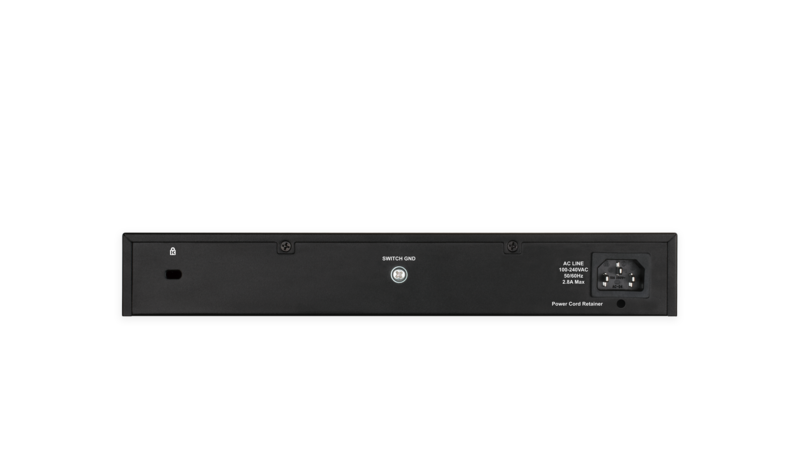 1 19-inch rack-mounting brackets included. 2 Lifetime Warranty available in U.S.A. only. Lifetime Warranty void when not purchased from Authorized US D-Link Reseller. Please visit us.dlink.com for list of Authorized US Resellers.